I knew I was up against it, but I like to think I’m a fast learner so all I needed was a Jedi Knight to teach me the ways of the force, my Obi-Wan Kenobi came in the shape of River Trent 2016 Division 1 National Champion, Rob Perkins. As we all know, no lesson can be learned on an empty stomach so we pit-stopped at the golden arches before moving on to the bank. The first thing that got me was the sheer size of the river, and it moved! Something very alien to me, but I couldn’t wait to get down to set up. I spent the first two hours watching Rob, the way he set up, the bait he used, everything. The rigs were surprisingly simple; I was expecting mind boggling engineering from reel to hook but that just wasn’t the case. The key as with any style of fishing, is what you feed and how you feed it. We had two lines on the day, a far feeder line and a shorter float line through the deep water. 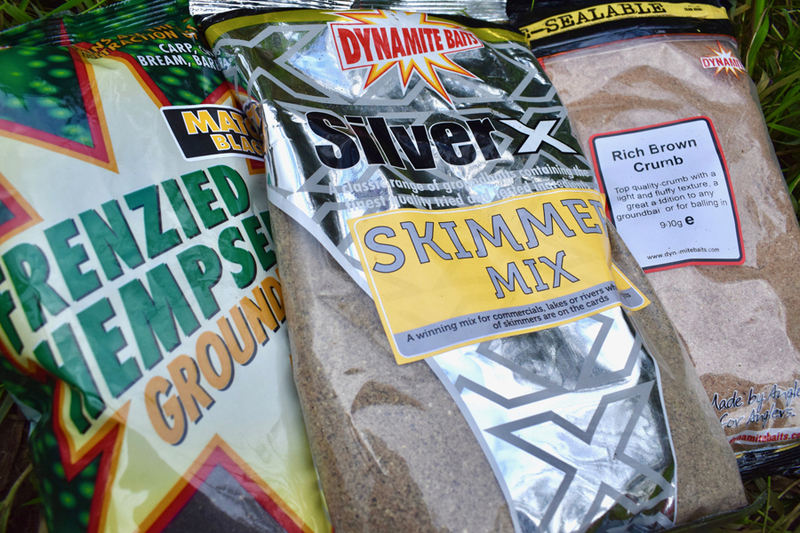 The feeder line featured a mix that has been used extensively on the Trent this season, Silver X Skimmer Mix, Frenzied Hempseed Match Black and Rich Brown Crumb. Half a bag each was enough for each of us to see the session out. This mix was responsible for four of the top ten weights in the 2016 Div 1 National, so I had faith before I even sent the first feeder out. 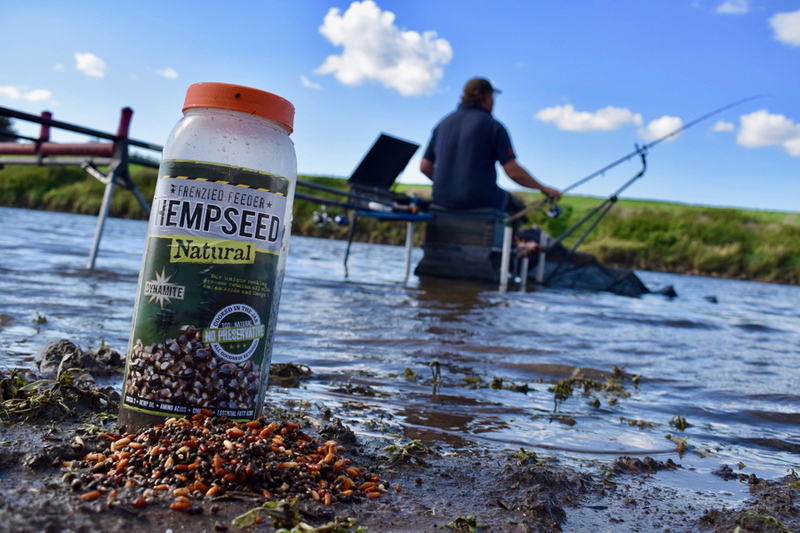 We used this mix to plug the main feed of Frenzied Hemp and caster. A single red maggot or caster was the hookbait of choice throughout the day. This mix isn’t selective; it will catch everything that swims in this stretch. The float line was a little simpler. 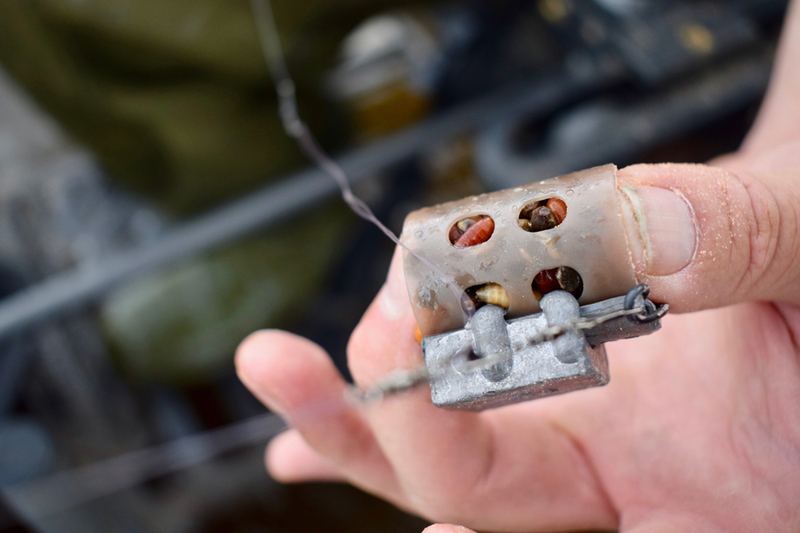 No groundbait needed for this line, just a catapult that would be getting a pounding. 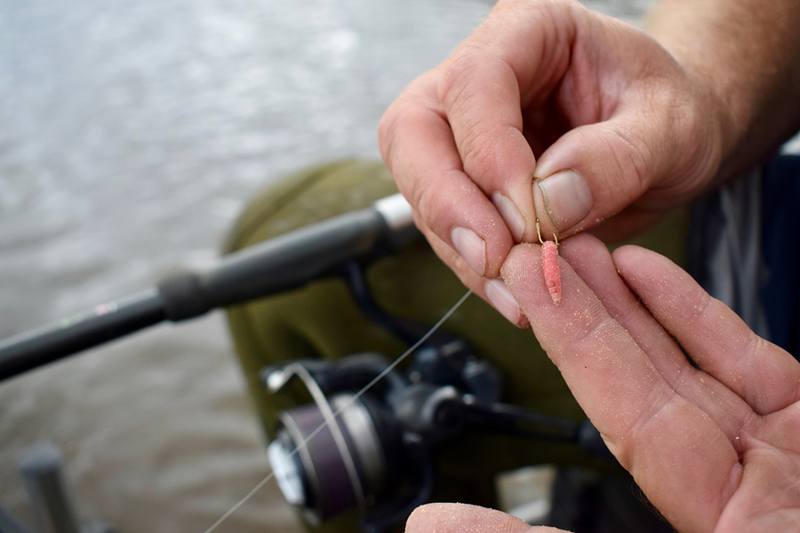 This line would be constantly fed with a mix of hemp, caster and bronze maggots with a red maggot on the hook. I stuck to the waggler approach on this line, but watched Rob as he used his preferred method of the bolo throughout the session. 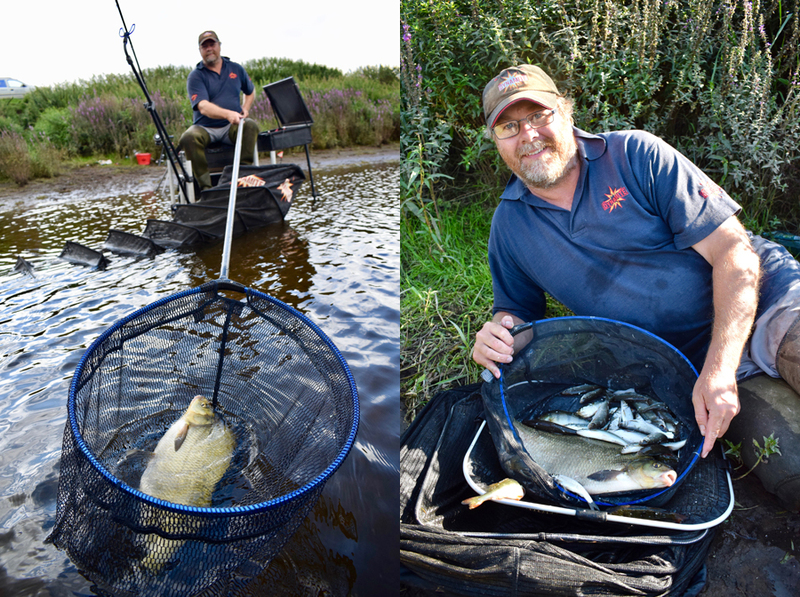 Rob began to catch well from the off on the feeder line, dace a chuck before a big bream made an appearance to the surprise of both of us, as the river was running off and gin clear! It wasn’t long and I was itching to sit on my gear and start catching, which I did! It’s one thing catching fish in a stocked commercial but hooking a wild fish every chuck is something that I was loving from the off. My biggest lesson here was reading the bites, most of which were ‘rattling’ the tip before it even hit the rest. I decided now to run the waggler through to see what was feeding over the copious amounts of loose feed I had been spraying in. 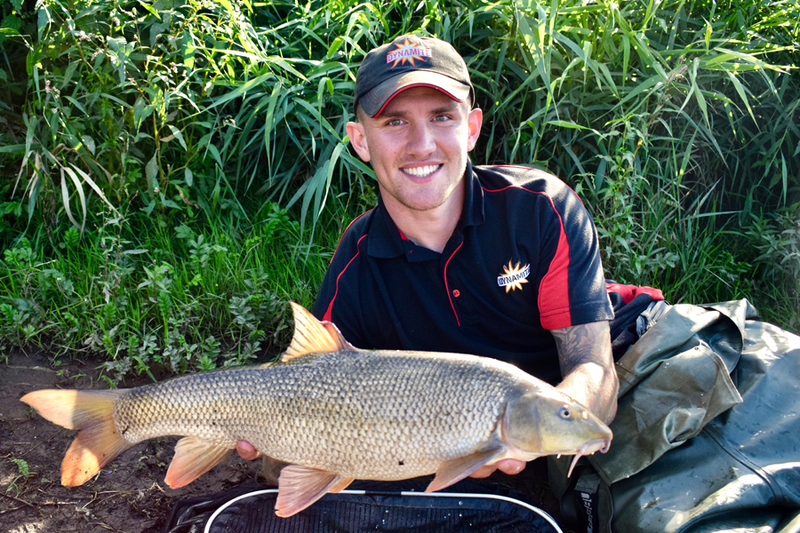 I was struggling to hit many of the bites on this line and when I was hooking in to fish they were small dace, so I decided to go back on the feeder and hopefully find what I secretly wanted all day… My first river barbel. It was coming to the end of the session and my supply of red maggots for the hook that I pinched from Rob were running low, so I decided to have one last chuck before going and getting some more pictures of Rob catching. Then bang! The tip hurled over and I hooked into something that definitely wasn’t a dace. Twenty minutes later with my Jedi Knight watching my every move a torpedo broke the surface and I knew I was in to a big barbel, I’m terrible for getting giddy at times like this so I’ve had a word to myself and calmly landed him. 7lb on the button. Day made. 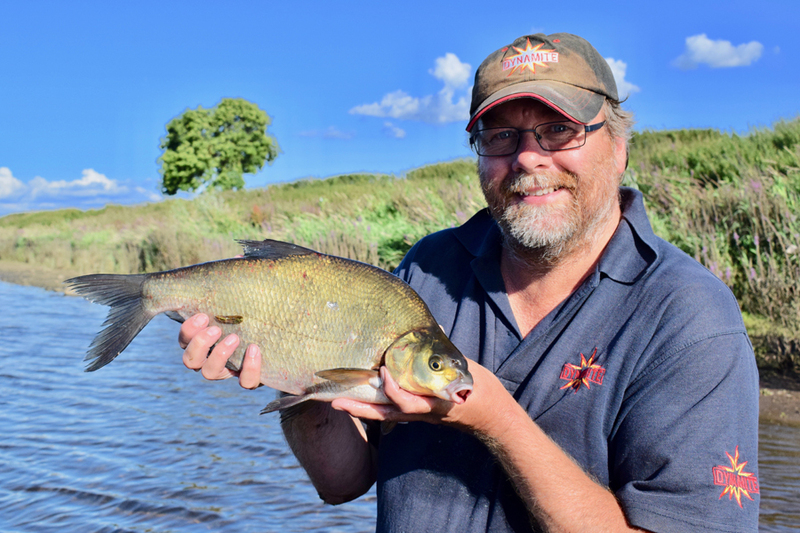 We both had a great day’s fishing with a bonus fish each, I learned stacks from Rob and it really boosted my love for natural fishing. Fishing is one sport where you will never stop learning, which is why I keep coming back I suppose. 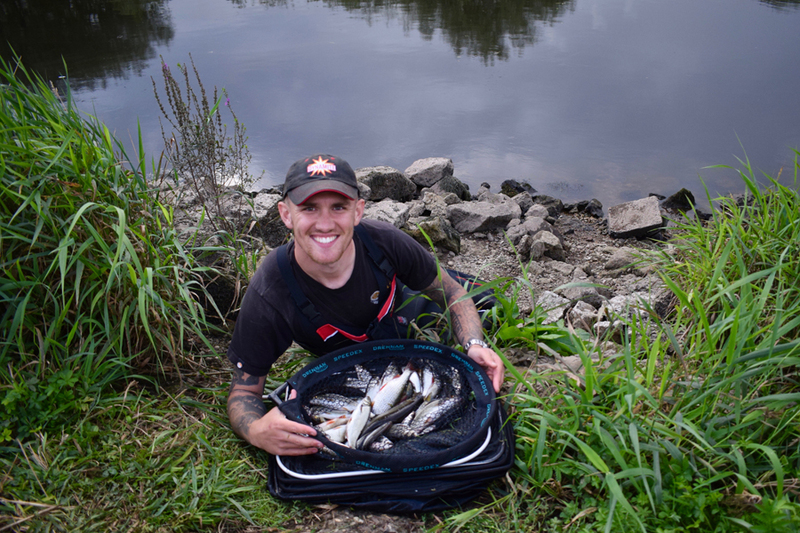 I went on to practice Collingham again with my team and come the match finished second overall, catching most of my big roach on the bolo which I had never fished before, I managed to fish it effectively through watching Rob’s every move. 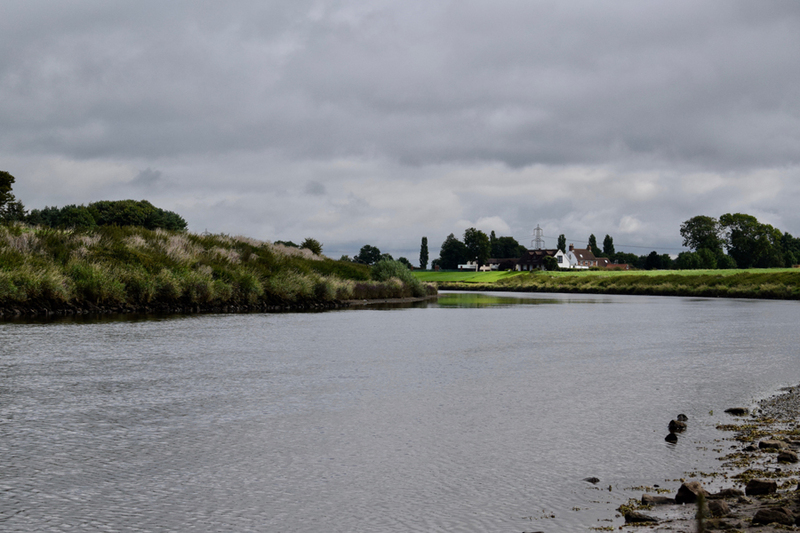 The anglers that hadn’t practiced suffered whereas those that had learned the water done well, nothing more to be said. 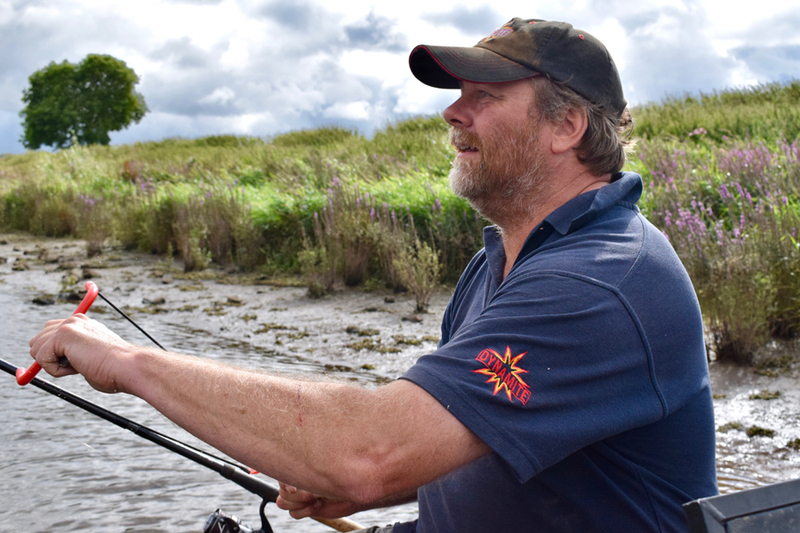 I owe a big thank you to Rob for that lesson, don’t be afraid to ask someone to show you the ropes of a certain venue and/or style of fishing, you may just have one of the best day’s you’ll get on the bank.